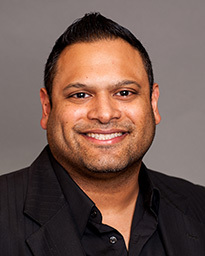 Dr. Shaun Varghese earned his medical degree and completed his residency at the University of Texas Health Science Center at Houston (UTHealth) Medical School where he was chief resident in the Child Neurology division. Dr. Varghese is board certified in neurology with special qualifications in child neurology. Dr. Varghese’s clinical interests include traumatic brain injury, concussions, Chiari malformations, neuro-metabolic disorders, mitochondrial disorders, neonatal neurology, cerebral palsy, autism, speech delay, developmental delay or regression, poor school performance, attention deficit disorder, disorders of gait and movement, epilepsy/seizures, migraines/headaches, neuromuscular disorders, neonatal and pediatric stroke, tics and Tourette syndrome, and syncope/dysautonomia. He treats newborns through 21-year-olds, and sees some older patients as necessary. Dr. Varghese believes in being accessible to patients and their parents at all times. He is easy to relate to and provides a high standard of care without sacrificing the personal touch. Having completed both medical school and residency in the largest medical center in the world, Dr. Varghese has had the opportunity to treat very rare diseases and disorders while seeing a high volume of patients with various common neurological illnesses. A resident of Spring, Dr. Varghese is married to a physician and has a son. Away from his practice, he enjoys basketball, weight-lifting, travel and spending time with his family.